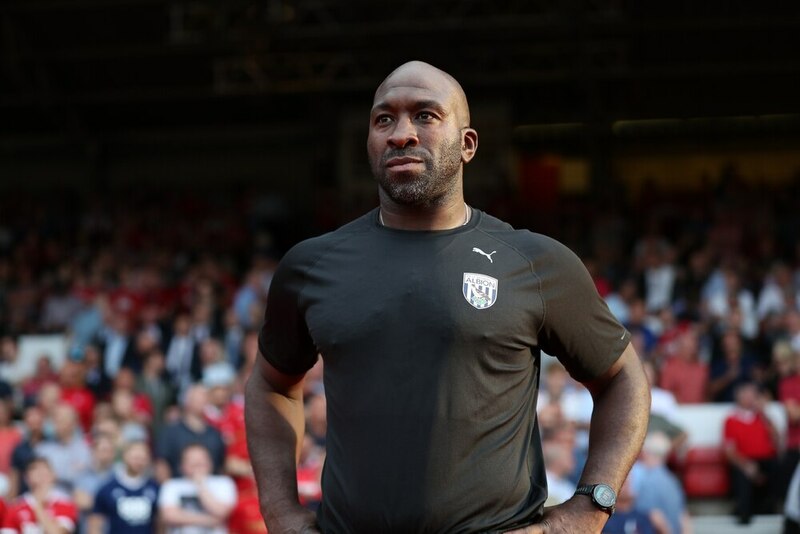 Darren Moore is still hoping to sign ‘two or three’ more players before the loan window closes at the end of the month. The deadline for bringing in players permanently passed yesterday, but unlike the Premier League, clubs in the Football League can still sign players on loan until August 31. And Moore has confirmed that Albion’s business is not yet finished, with the boss hoping to add more faces in the next three weeks. The club are already in talks with a right-back, and Moore has also admitted he ‘could do with a striker’ considering he only has three in the squad. The Baggies already have three players on loan – Dwight Gayle, Harvey Barnes, and Tosin Adarabioyo. Championship clubs can sign up to eight loanees at any one time, although they can only name five in any given matchday squad. And considering any loans can be with a view to a permanent deal, the window is effectively still open for the Football League. When he was asked how many new faces he wanted, he said: “Two or three if it’s possible. “I could do with a striker, but I’m looking to strengthen all areas. However, Moore is pleased that the Premier League window has now closed. Several of his players were linked with moves back to the top tier over summer, but the Baggies managed to hold on to the likes of Jay Rodriguez, Craig Dawson, Nacer Chadli, Matt Phillips and Jake Livermore. And Moore hopes his squad can now kick on without any outside distractions. “The window’s closed now, so all the players need to focus on the job in hand,” he said. “It can be a distraction, not just for those players, but for the whole squad, every player. “While the window is open it’s a slight distraction but the window has come and gone now. Mentally it helps people channel their minds and thoughts. It quietens the noise down a bit. You’ve got to look at that as a plus really. So far this summer Albion have lost six players and signed seven with a net spend of £2m. They have replaced goalkeeper Ben Foster with Sam Johnstone, while centre-backs Jonny Evans and Gareth McAuley have been replaced with Kyle Bartley and loanee Tosin Adarabioyo. Left winger James McClean has been replaced by loanee Harvey Barnes, and striker Salomon Rondon has been swapped for Dwight Gayle. Central midfielder Claudio Yacob was also released, and the club have added a third-choice keeper in Jonathan Bond and a back-up left-back in Conor Townsend. “West Brom can feel that we’re in a good place,” said Moore. “Obviously a lot of our players were coveted during pre-season with moves away but most of them are still in the building. “We value those players immensely and are delighted to have them on board. We see them as good players, and it’s certainly a group of players we looking forward to working with for the season ahead. “All of them are important, if we can get them gelling together. There are still eight of them who got results against Manchester United, Newcastle, Tottenham, and came back against Liverpool. “They are players who have got results against the absolute best. We’ve seen what they’re capable of producing, we should look to those positives.